If you are developing products for sensitive skin or people who prefer a more subtle fragrance, infused oil can be an excellent option. Here is a peek at an infused oil getting ready to be added to a custom product for a special customer. She happens to love a whiff of vanilla in her moisturisers, so this will become a natural scent element in the face serum I am creating for her. If you are interested in ordering a custom product with me, please visit this page. When the Christmas month arrives (which it manages to do every year without giving me any warning whatsoever), I am generally a little extra busy making gifts for the coming holiday season. Visiting the stockroom to choose from my handcrafted infused oils is not only inspiring, but makes every gift truly personalized. Above is the beginnings of a simple, soothing body balm for a very special lady. I happen to know she has sensitive skin and loves both rose and vanilla, so there are a couple of infused oils with these ingredients going into this all-over multi-purpose balm. No need to add scent – the oils have that part covered beautifully. The rest is a seasonal gift-making secret! One of my regular clients saw this how to on my blog and promptly ordered it from me. I totally get that not everybody wants to make their own skincare, and for those lovely people, I am happy to make the product for them. Are you interested in making this product? There's a step by step on the blog right here. 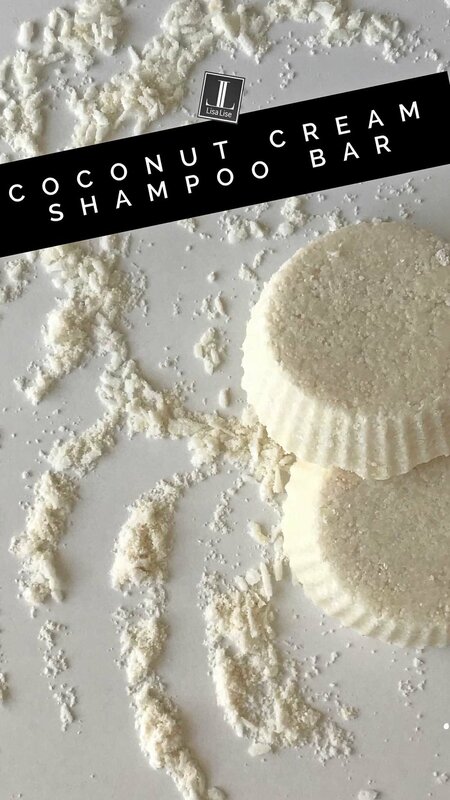 Here is a custom product developed for a client with very sensitive skin who asked for a 'simple natural scrub I can use in my morning shower'. 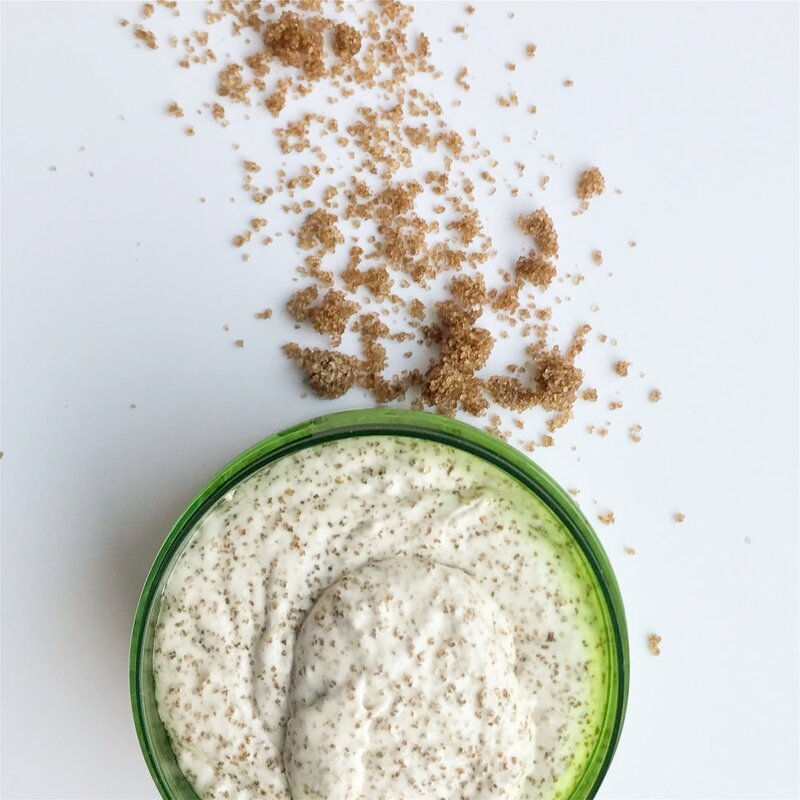 This scrub contains brown sugar and coffee-infused oil - perfect for a morning wake-up. It smells so delicious, I'd better include "do not consume" on the label. A number of my regular clients order custom deodorants. They are some of my more popular products. 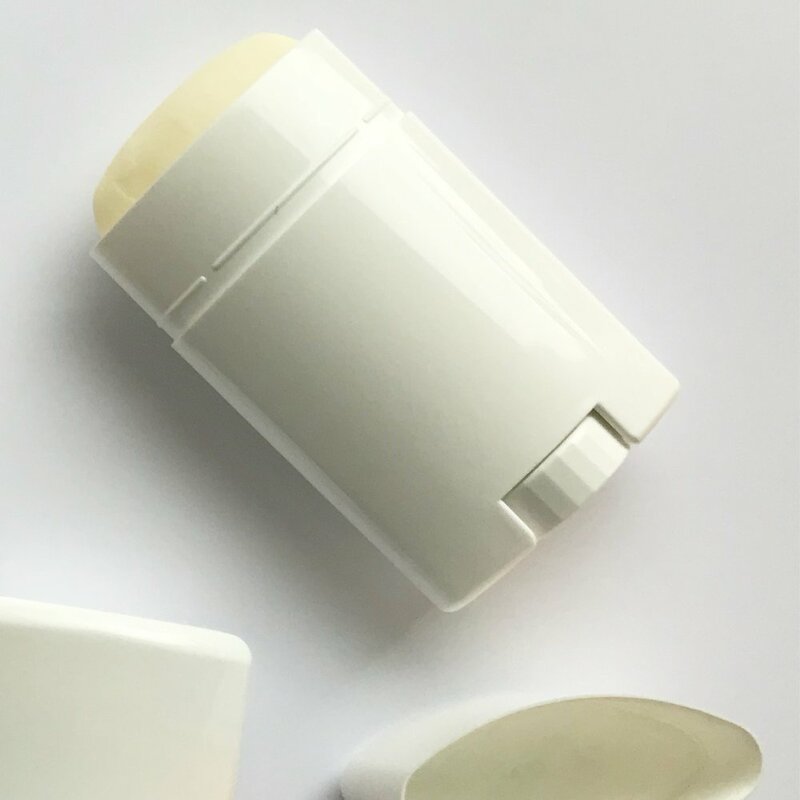 Pictured: deodorant stick waiting for a label. This one contains a mixture of palmarosa and tea tree essential oils and is custom made for a gentleman who prefers this exact scent in his deodorant.